Key West is a beautiful place to visit and has some wonderful things to look at. Now the great thing about Key West is the beautiful water that is there. So when people go on vacation they are looking for new and exciting things and this adventure will certainly meet both of those criteria. Now this adventure is perfect for couples and a great way to unwind. Once people book this adventure they will get the equipment they need to go out and snorkel. However what makes this adventure different then other snorkeling adventures is that the tourist can drive their own speedboat. They will follow their tour guide to the location where they will take them to go snorkel. Now once they hit the location that their guide takes them too. Once they get there they will be able to snorkel and swim with the marine life that is there. The wonderful thing is that the water is so clear and calming that it will be peaceful to them. The calming water and the beautiful sunlight is something most people will relish. This is a great trip for people to leave all their troubles back at home. They will have everything they need and their tour guide will take them to a perfect place to dive and see some beautiful wonderful sea creatures; and they will not only see them but they will swim with them as well. 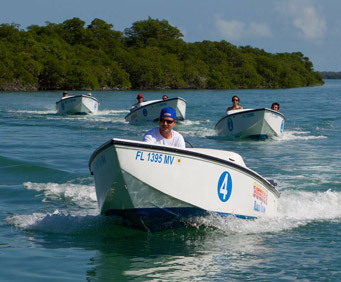 Explore Key West in a fun and unique way! Avoid the crowds on this exciting snorkel safari adventure and captain your own speedboat through 25 miles of Florida backcountry. Enjoy a smooth, scenic ride as you follow your local guide to a national marine sanctuary, where you'll get a chance to snorkel and swim in pristine waters. 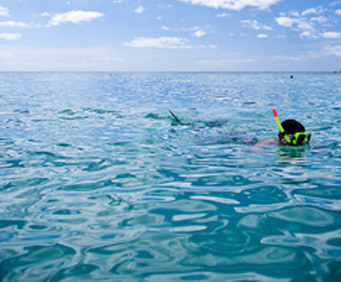 Embark on an exciting safari adventure with snorkeling from Key West! 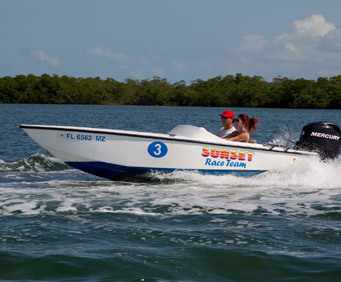 Admire the beautiful Florida scenery as you drive your own speedboat through 25 miles of pristine Florida backcountry waters. Follow your expert guide on a smooth ride to the Florida Keys National Marine Sanctuary. 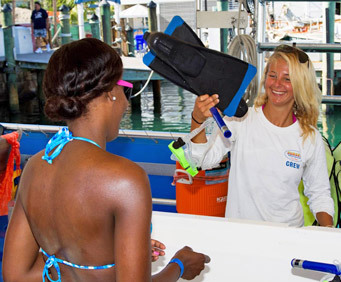 Then, dock your boat and begin your Key West snorkel experience! Explore the abundant tropical marine life, swim in the crystal-clear waters and soak up the Florida sun. Snorkel and swim gear is provided so all you need to bring is a sense of fun and adventure!